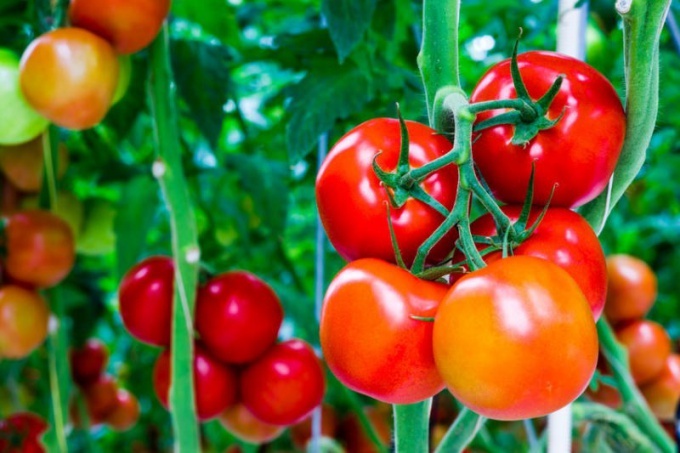 Tomatoes, or tomatoes are a common vegetable culture, the cultivation of which is possible in our climatic conditions. To get a delicious and rich harvest, be aware that some diseases not only hit the leaves and fruits, but also lead to the complete destruction of the plants. As a rule, all diseases of tomato are divided into two groups: infectious and separatornyi. Special attention should be given to the first category, so how pathogenic fungi affect the growth and development of culture. Late blight (brown rot) is known to almost all gardeners and horticulturists. It can call the late blight. This is the main disease of tomatoes, which fairly quickly leads to loss of the crop. In the first stage the lower leaves begin to be covered by black spots, which indicates the defeat of the spores of the fungus. Further spots are spreading rapidly around the stalk, passing on the fruits. Of course, the disease must notify, as treatment may be ineffective. To do this a week after planting the seedlings, treat it with a solution of copper sulphate in the proportion of 1 gram in a 4-liter bucket. Until flowering is also recommended to spray a solution of Alpin. When the first symptoms of the disease immediately treat the plants with Bordeaux liquid, removing all affected leaves. In no case do not dispose of infected leaves on the soil for fertilization, it needed to be burned, because the spores can be stored in the ground and successfully strike the next year's crop. White and gray mold of fruit. In this case, the tomatoes begin to appear spots of rot, with the result that they fall from the Bush. As a rule, the reason for this disease may be excessive watering or density of trees. It is worth remembering that tomatoes prefer dry weather, watering is rarely (depending on the speed of drying of the soil). Viral diseases. One of the most common diseases of tomatoes is mosaic, which manifests itself as alternating light and dark spots on the leaves. To prevent it is advisable to disinfect the seeds immediately before sowing, and already planted the seedlings treated in water diluted skim milk in the ratio of 2:10. Pests. The main enemy of the tomato is a vegetable scoop, which penetrates into the pulp of the fruit, damaging their integrity. To destroy a variety of pests is required after harvest to dig the ground to a maximum depth. This contributes to soil freezing, causing the larvae to die. And the time of fruit ripening is recommended to apply insecticides.